Solvent's sixth full-length LP, “New Ways: Music from the Documentary I Dream of Wires," receives a Deluxe Edition reissue to coincide with the "I Dream Of Wires" 2015 Netflix/iTunes/DVD release! This expanded edition features all-new artwork and contains a full 74 minutes of additional bonus material, including previously unreleased Solvent music from the film and new remixes from artists who were interviewed for the film, including Wrangler (featuring Cabaret Voltaire’s Stephen Mallinder), Chris Carter (Throbbing Gristle, Chris & Cosey), Orphx, Martial Canterel and more. For the past few years, Solvent's obsession with synthesizers and electronic music has taken him on a new path, a journey deep into the world of modular synthesizers. Serving as producer, co-writer and interviewer for "I Dream of Wires," a documentary about the history, demise and resurgence of the modular synthesizer, Solvent's Jason Amm has played a pivotal role in creating one of the most talked-about and revered electronic music documentaries in recent years. The film features interviews with influential electronic musicians such as Trent Reznor, Gary Numan, Morton Subotnick, Vince Clarke, James Holden and Carl Craig and after a long run of festival screenings, is set to debut August on iTunes and Netflix. Before he came on board as producer, Solvent was commissioned by the "I Dream of Wires" Director to create an original soundtrack for the film. Solvent took on the soundtrack LP as a challenge; determined to expand his synthesis palette with the new possibilities of modular but with a firm focus on completing an engaging body of work that would stand on it’s own outside of the film. The result is "New Ways," heard prominently throughout the film and created, programmed and composed entirely on modular synthesizer systems. Through some generous loans, Solvent was given access to several large-format modulars during the course of the album, including a classic vintage Moog System 15. But the real revelation came from his own newly-acquired, contemporary Eurorack system; for the first time in many years, Solvent found himself thinking outside the "vintage synth" box. 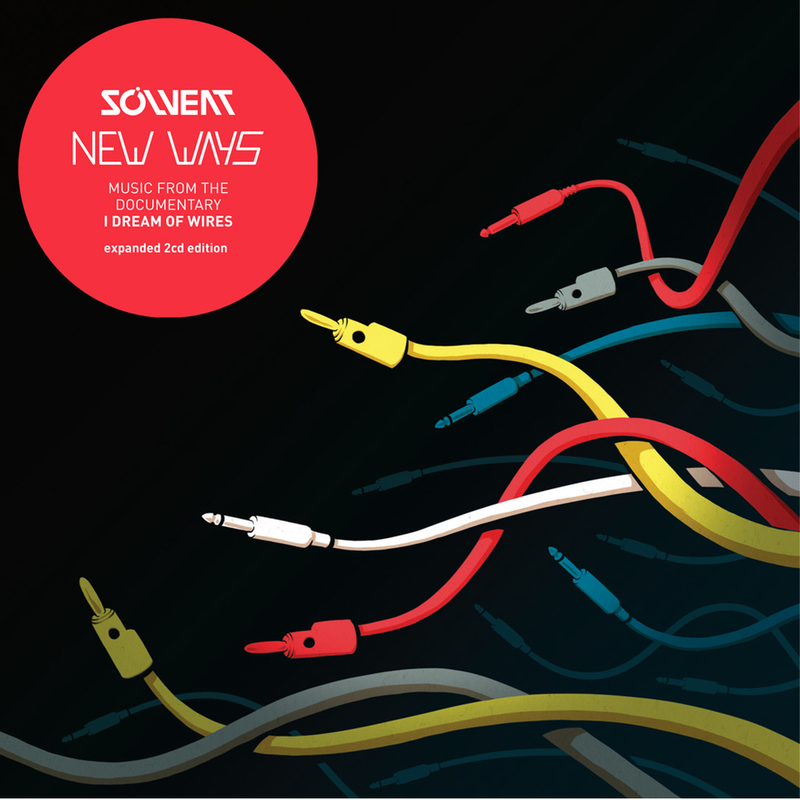 The album title "New Ways" is not only a continuation of the "I Dream of Wires" nod to Numan, it also pertains to Solvent's all-new modular synthesizer toolkit, introducing many new forms of synthesis to his arsenal of electronic sound. "New Ways" is Solvent's return to instrumental, headphone electronica. From the harsh, IDM/hiphop hybrid of "Burn The Tables," to the Radiophonic menace of "Sender," Solvent showcases the modular synthesizer as perhaps the ultimate tool for noisy, alien soundscapes. Alternately, Solvent's penchant for sweet, heartbreaking melodies can be heard clearly alongside the intricate modular sound design on standout cuts "King Vincent," "Pattern Recognition" and "LPGs Over Hawaii." "New Ways" also includes the "I Dream of Wires" theme song, "Themogene"; a soaring piece of epic synthesizer minimalism that aptly opens the film.